Trying to choose between a career as a paralegal and a career as a lawyer? Both are respectable career options, and each position has its pros and cons. Below are 15 key considerations to choose the best career path for you. 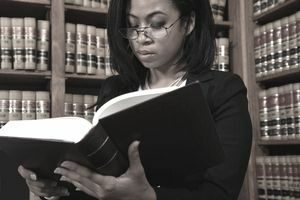 Paralegals can enter the market with as little as three months of training, although some firms require paralegal certifications or certificates, which can take up to two years to complete. These are often offered as Associate degree programs. Lawyers, on the other hand, must complete a minimum of seven years' post-high school education, which includes a Bachelor’s degree and a JD. No paralegal school entrance exam is required, although standardized test scores may be required to enter an Associate degree program. High LSAT scores are necessary for law school admission, especially if you are trying to go to a top-tier law school. More often than not, becoming a paralegal will not involve accruing a large amount of debt. Law school debt, unfortunately, may exceed six figures for many people. There is no exam required to enter the paralegal field, although some states may require a certificate. Successful passage of a state ​bar exam is required to become a practicing attorney. For a paralegal, there is a limited career path and few advancement opportunities. Lawyers, however, have a broad career path and many advancement opportunities. Paralegals cannot practice law—they must always be supervised by attorneys. Lawyers can practice law and operate autonomously. For a paralegal, the top-earning potential is $60–90K in most markets. Lawyers have unlimited earning potential, although the salary distribution tends to be bimodal. The paralegal profession is one of the fastest-growing careers in the U.S. While the job outlook for a lawyer is above average, it does not compare to the paralegal market. Paralegals have limited responsibilities in the office, and therefore are under less stress. For lawyers, there is a high level of responsibility, which leads to a high level of stress. Paralegals are frequently entitled to overtime pay. Lawyers, unfortunately, do not usually earn additional pay for evening and weekend hours because they are salaried employees. Paralegals have no state-mandated legal education requirements once they have completed their training. Lawyers, however, must complete state-mandated continuing legal education requirements once they pass the bar exam and start practicing law. For paralegals, there is a shorter learning curve, and they often perform routine, mundane tasks. On the flip side, lawyers have a large learning curve and the possibility of performing many intellectually challenging and diverse tasks. Paralegals need strong organizational skills and attention to detail in their skill sets. Lawyers should be strong communicators and possess analytical and logical reasoning skills. Paralegals may or may not have secretarial support. Lawyers almost always have secretarial and administrative support available to them. Most paralegals work in a cubicle or shared office. Alternatively, many lawyers get private offices. While both paralegals and lawyers are essential aspects of the criminal justice system and legal matters as a whole, they work very different jobs. Hopefully, this helped you start to see where you may fit into either field.